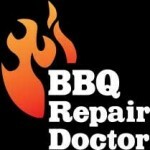 We specialize in barbecue repair in Valley Glen, CA. That includes barbecue cleaning, restoration, and maintenance. 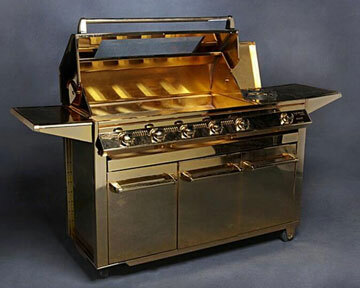 If you have an old, dirty or broken grill, we can help you bring it back to its original form. Our team of factory trained and certified specialists will be happy to assist you with all of your barbecue repair in Valley Glen needs. 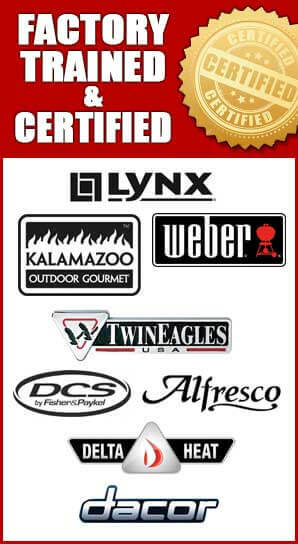 They specialize in all the great brands of barbecue grills inducing Alfresco, Capital, DCS, Fire Magic, Kalamazoo, Lynx, TEC Sterling, Thermador, Twin Eagles, Viking, Weber, and Wolf. In fact, there is not a brand or a model of barbecue that we can not fix. We do outstanding job repairing gas barbecues, charcoal BBQ, electric BBQ, portable BBQ and smoker BBQ. Our barbecue repair in Valley Glen service will start with a phone call and a accurate estimate. Then we will make a convenient service call appointment. Before you know it, our experienced barbecue repair technician will be at your house. He will be right on time and armed with all the latest tools and equipment. Our appliance repair specialists always carry all the necessary parts with them. Having parts available in the beginning will save you time. It means that we will not need to order them. Why pick us to do your barbecue repair in Valley Glen as well as other BBQ related services? 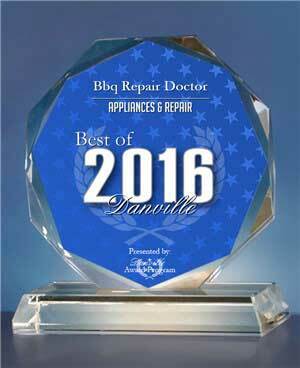 When it comes to barbecue repair in Valley Glen, we are the most trusted and respected company around. We have been doing barbecue repair and cleaning exclusively for many years. Our employees are all hand picked specialists. They are all factory trained and certified to do their job. Every year we take recertification classes to make sure we are on top of the latest in barbecue grill repair technology. For barbecue repair in Valley Glen call us at 818-392-8666 or fill out this application. Our skilled BBQ repair specialists are more than happy to answer any of your questions. Get your barbecue fixed and get cooking!